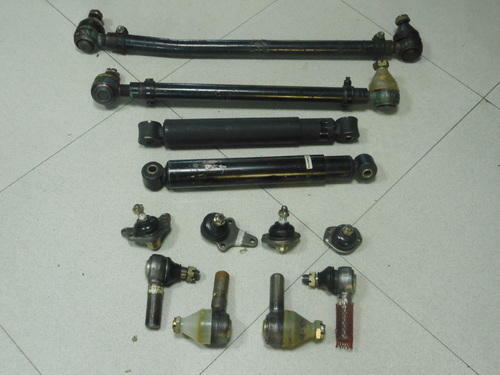 Wide Range of Steering & Suspension Parts:- Steering are collection of components, linkages etc allowing a vessel to follow the desired course and important part using in driving a vehicle. Similarly, suspension parts are like springs, shock absorbers and linkages are used to combine with vehicles. We are leading suspension parts supplier offering them at market leading prices. We introduce ourselves as a company with a professional approach that is aimed at result orientation. With roots that go back to more than 40 yrs, we have etched a respectable place for ourselves in the international market by exporting quality products. Shalimar Enterprises today is one of the leading exporter, trader and supplier of a wide range of products and has a presence in over 35 countries. Our excellent performance over the years has also earned us the status of a star trading house, recognized by the government of India.